The Precious Sutra of the White Lotus Society: the Turkic version [Сутра Общины белого лотоса: тюркская версия]. Ed., tr. by L.Y.Tugusheva. 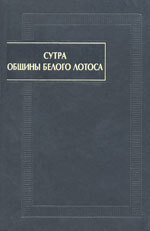 Moscow, Vostochnaya literature, 2008. The publication presents the unique fragments of the Turkic version of the scripture, according to the original pagination of the manuscript, having the short title Abitaki. This title, corresponding to the Chinese A'-mi-t 'o-ching: Amitabha-sūtra, points to the fact, that the scripture belongs to the class of works dealing with the cult of the Buddha Amitabha. It was ascertained that the full Turkic name of the work was: yürüng lenhua čäčäk tergini nom ärdini: The Precious Sutra of the White Lotus Society. On this ground and some other data, it was possible to assume that the work was created by the members of the well-known White Lotus Society founded in China in the 4th century. The fragments presented here preserved at the Manuscript Collection of the St.-Petersburg Branch of the Institute of Oriental Studies of the Russian Academy of Scienes' and belong to the 3rd and 4th chapters of the work. The fragments of the 3rd chapter contain some principles of religious views of the school of White Lotus Society and the ways and means to reach the aim—the Pure Land of the Buddha Amitabha. The 4th chapter consists of hagiographies of some eminent persons. According to the opinion of the researchers, the scripture in question is one of the main works of the school of White Lotus Society and its study can increase our knowledge on the schools of north-eastern Buddhism. The greater part of the scripture is preserved in Turkic version, therefore analysis of this version have a great significance for the study the religions attitudes, history and culture of the peoples of Central Asia.